Watching the success Tyler Perry has had using his film following to create hit sitcoms, Ice Cube decided to use the same playbook. Long before Perry became the movie giant he is, Ice Cube was the film creator the black community turned to. Ever since the first Friday film, Ice Cube has been hailed as a comedic genius. 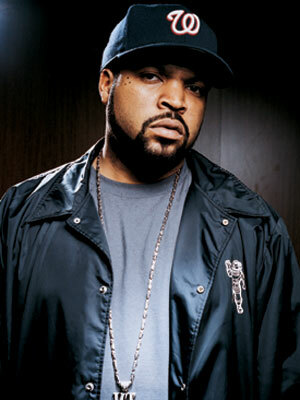 Initially known to the world as a "gangsta rapper," Ice Cube crossed over into the mainstream. First, he would play roles in many gangster films. Usually, Cube was the character considered rough around the edges. But, slowly Hollywood realized how marketable Ice Cube was. Not much time passed before Ice Cube was the one creating the films. Over the years, he has written many films which are family friendly. His most-notable child-friendly film was 2005's Are We There Yet? Playing opposite of Nia Long, Ice Cube vys for her attention. After the two begin dating, Long's character reveals to Ice Cube's character that she is the mother of two children. Upon revealing her children to him, Ice Cube is forced to take them on a road trip. Fearing he is trying to take their mother, the children rebel against Cube. But, during the trip, they discover he is actually a good guy. The film would be a success and Ice Cube soon made plans of doing a sequel. He began writing the sequel, Are We Done Yet?. In the second film, Ice Cube has stepped into the role of father and the children love him. Now as the father of two children, he decides to take the family out on a roadtrip. Much like the last time, the mother cannot come and Ice Cube has to handle the children alone. The sequel would also be very successful and the idea to continue the film came. Feeling as if there would only be a matter of time before people got tired of the films, Ice Cube decided to adapt the films into a sitcom. Last summer, Ice Cube pitched his idea to TBS and they set him up with a deal similar to the one offered to filmmaker, Tyler Perry three years earlier. Currently, Ice Cube's sitcom airs on Wednesdays, right between the Perry sitcoms. Being placed in between the highest-rated programs in cable history brought a rather large audience to the series premiere of "Are We There Yet?" With the audience there, it was up to the sitcom to perform properly. Despite starring fan favorites, Terry Crews and Essence Atkins, the show failed. Most of the jokes were considered to be corny and the laugh track was said to be a little over the top. The same criticisms were intially made about Tyler Perry's TBS sitcoms and it has become one of the highest-rated sitcoms in the history of cable television.